Radio Mattoli Wayanad Live Online . 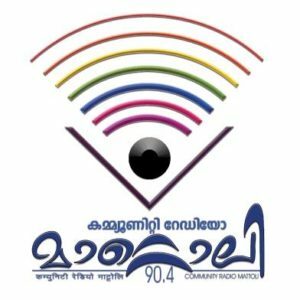 Listen over 50 Malayalam FM Radio Stations Online . Community Radio Mattoli is an undertaking of Wayanad Social Service Society in Kerala State. It was launched on June 1st, 2009, it has 16 hours of broadcasting now from 6 am to 11 pm. Mission : Provide an avenue for the free flow of beneficial information aimed at bringing about socio economic changes in the society. The programs aired opens up possibilities for everyone, especially the marginalized sections, to express themselves socially, economically, culturally and spiritually in order to become masters of their own destinies. Radio Mattoli serves as a catalyst for integral development of individuals and societies. Address : Dwaraka , Nalloornadu PO , Mananthavady , Wayanad Dt. , KERALA 670645 .